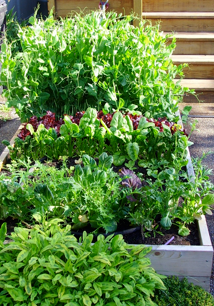 Edible gardens have always fascinated me. I admire people who can turn seeds into a practical, edible garden. While tulips and colourful flowers are pretty and smell great in the spring, there is something everso rewarding about being able plant seeds, watch them grow, pick them fresh and cook them up. I planted my very first garden last summer and, as a rookie, it looked more like a big box of weeds than a pretty arrangement of edible treats. I have learned an incredible amount of information in one short summer though, and with spring in the air, I look forward to putting that knowledge into effort very shortly. I also love the fact that you can grow so much with such little space. All you need is sun, really. I live in the middle of a city and have very little space to garden with no backyard. 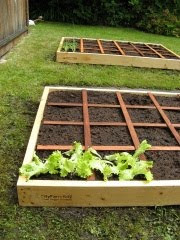 We simply built a raised garden bed, at very minimal cost, and planted. To be honest, we could barely keep up with all the food that grew! I was amazed every week to see how many vegetables we ate from our own little garden. A variety of images that will hopefully motivate and inspire you to start your own are posted below.